The college's main source of water was located for many years behind Johnson Chapel, facing the Freshman Quad. 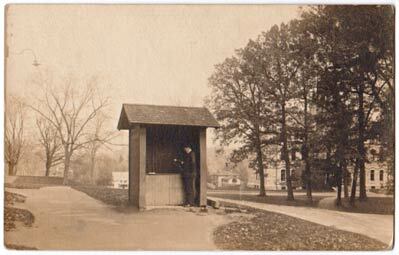 The well was dug in 1821,l when construction on South College was underway (King, 10). When Johnson Chapel was renovated and the front became the back, the Well had since lost its usefulness and was removed. 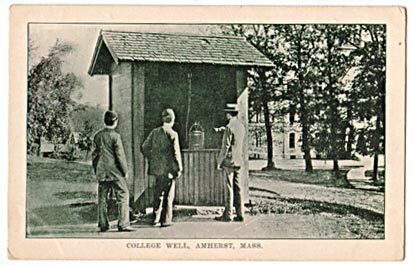 This postcard of the College Well uses the same image of three students standing around as is seen in almost every other Well postcard.